A comprehensive dimmer suitable for indoor LED Lighting. Intelligent fimmer capable of RGB colour adjustment. 0-100% dimming range via logarithmic characteristic, perfect for human vision. 256 levels of grey scales with smooth dimming control. 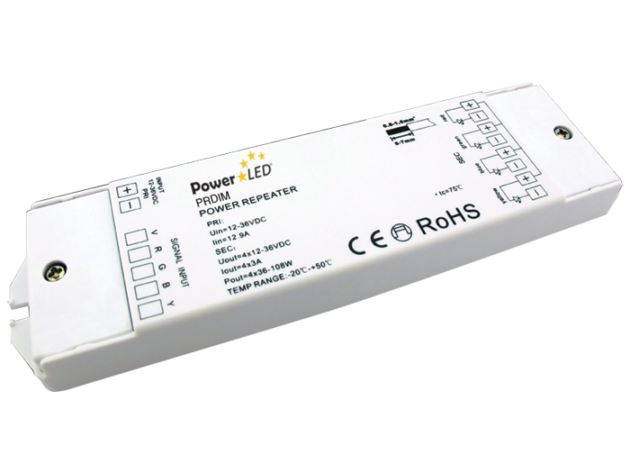 Power repeater available for increased lengths of tape.